"It’s not reality that counts but what imagination can do with it." Charles Spencer Chaplin has caused the entire world to laugh and cry since his creation of his world-famous character, "the tramp. The man died on 25 December 1977 but he left his great films to us to remember him — movies that we can watch over and over again. The question is : are there any Chaplin reels not yet discovered ? Yes ! As a matter of fact we found dailies of a movie shot in totality but yet to be edited and thus never presented. Upon examination, it appeared that this footage was shot in 1916 for the Mutual company but never released for reasons still unknown. Using the instructions the genius left, Constellation Studios reassembled this footage with the utmost care and respect. 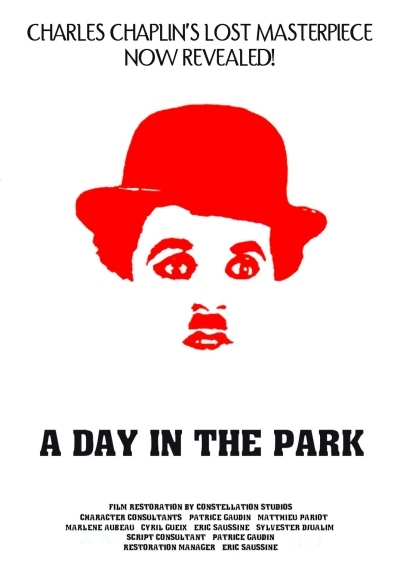 Why Chaplin did not complete this movie remains a total mystery. Further research will undoubtedly explain it some day. As the movie had no title we gave it one and we recreated the captions from the original screenplay. 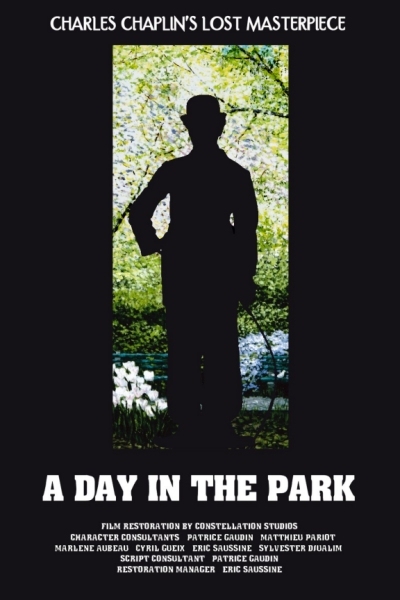 A Day In The Park is now available and it is a great event for all movie buffs on the planet. Thanks to digital restoration, Constellation Studios present this masterpiece for the first time in optimal condition : the tramp is back in all his glory ! The low-resolution three-part video on youtube.com.